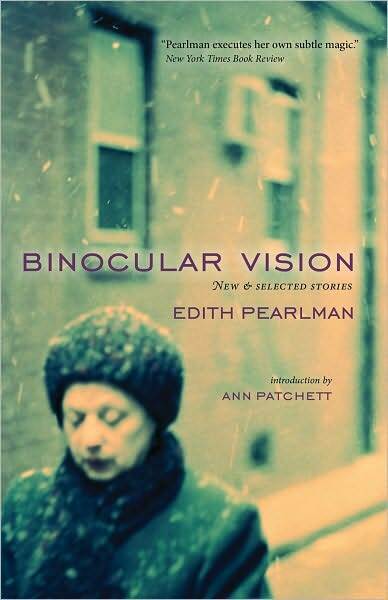 In Binocular Vision: New & Selected Stories, Edith Pearlman grabs the reader's attention and never lets it go. In this review, Andrea Nolan looks at some of Pearlman's first lines and examines how her stories are united through character, theme, and place. All readers have their tricks of habit when standing in the bookstore, looking for a new book to buy. Some read the first page; others pick paragraphs at random in the center. I read first lines. I’m a sucker for opening lines—both of stories and chapters—and the ways, when artfully done, they can set the tone, plant the stakes, establish character and setting, all while seeming to do very little work at all. Sophie didn’t agree. Clarity you could get by putting on glasses; or you could skim foam off warm butter—her mother had shown her how—leaving a thin yellow liquid that couldn’t even hold crackers together. Lily didn’t clarify; she softened things and made them sticky. Sophie and each parent had been separate individuals before Lily came. Now all four melted together like gumdrops left on a windowsill. 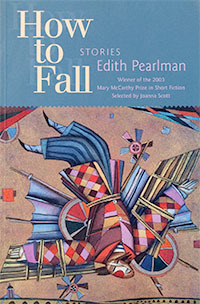 In this description, Pearlman has the child of the story deliver the thematic trope of stickiness, but keeps Sophie believably a child through the use of characterizing details like “her mother had shown her how,” and “gumdrops left on a windowsill.” Sophie is precocious, but also very much a child; Pearlman sets this tone in the story’s opening line, and because of that opening, the story is able to continue forward, portraying a child both lost and found. While “Inbound” is the story of a white, non-religious academic family, Pearlman’s next story, “Day of Awe,” begins, “He was the last Jew in the cursed land,” and the difference between these two openings hints at one of the truly great things about Pearlman’s writing: its diversity of story and setting. This story focuses on Robert, a Jewish patriarch visiting his son, Lex, and Jaime, his soon-to-be grandson, in an unnamed Latin American country. 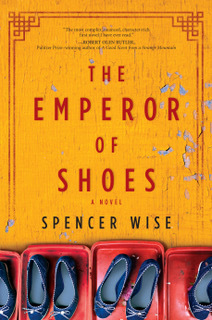 The epic tone of aloneness and heroism in the first line sets up the story of a man trying to get his bearings in a changing world, in which his gay son is adopting a boy who barely speaks Spanish, let alone English or Hebrew, and in which Robert will be forced to celebrate Yom Kippur as the lone Jew amongst “a gaggle of gentiles,” rather than the being able to “pray for forgiveness with nine others.” What is striking in reading these stories side-by-side is not just how they they differ with regard to characters, place, and tone, but also how these stories are united by the theme of searching for belonging and understanding. This theme pervades every one of Pearlman’s stories. Binocular Vision is a book of new and collected works, with thirty-four stories in all—twenty-one older stories and thirteen new. 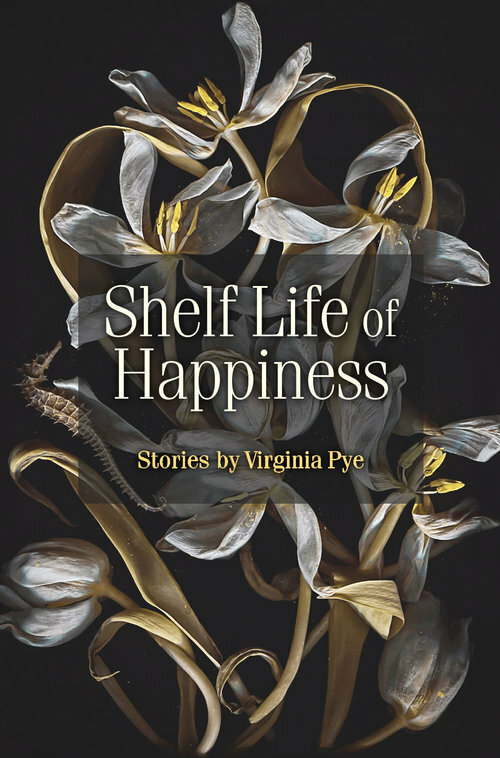 While not delineated as such in the Table of Contents, the stories are grouped according to their original books, beginning with five stories from Pearlman’s first collection, Vaquita and Other Stories, winner of the Drue Heinz Literature Prize in 1996. After the Vaquita stories, the next five stories are from Love Amongst The Greats, and the next eight are from How to Fall, originally published in 2005. Beyond some minor polishing and the changing of a couple of titles (“Day of Awe” used to be, “To Reach This Season”), the stories are unchanged. The final three stories in the “Collected Works” section do not seem to have been previously collected in any other book, but they seem to have been written in the same eras as the others. While the stories themselves are generally unchanged, they have been rearranged somewhat within their unofficial book groupings, allowing them to inform each other in a new way, and the effect of having them all gathered together is the creation of a broader, more cohesive universe. All stories in a good collection talk to one another, but some talk more than others. Pearlman returns to the same unnamed Central American country several times, while other stories take place in Maine, Massachusetts, Israel, and Europe. Rearranging the stories highlights their binding threads. 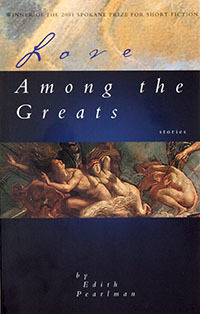 For instance, placing “Vaquita” as the last story from Pearlman’s first book, and then “Allog” as the first story from Love Amongst the Greats allows us to read these stories one after the other—and we can see that the soprano mentioned in “Vaquita” is living in the apartment building in Jerusalem in “Allog.” The latter story opens: “There were five apartments in the house on Deronda Street. There were five mailboxes in the vestibule: little wooden doors in embarrassing proximity, like privies.” In both stories, the soprano is one of those vital connections we all share—the connections of friendship and of proximity—bonds not validated by marriage or family, but as much a part of the fabric of life as any official relationship. Too often we ignore or belittle these proximal relationships, we think nothing of the other mailboxes in the apartment lobby and try to ignore our embarrassing human commonalities and frailties as we pound on the floor to get the downstairs neighbors to quiet their quarrel. Pearlman takes these connections and builds her fictional worlds around them, and in doing so, shows us what it is to be human. 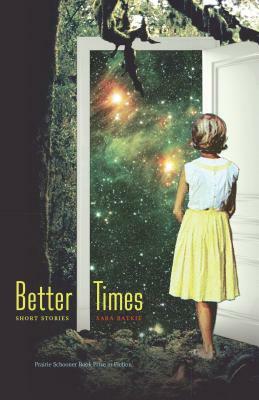 Other stories are even more closely related, for instance the trilogy “If Love Were All,” “Purim Night,” and “The Coat,” each of which follows two characters, Sonya and Roland, during their time as relief workers during World War II and in the rebuilding years afterward. These connected stories work exactly as they should—each one standing apart with its own arc, climax, and resolution, each its own picture postcard of a life; and when read together, they reveal not only the panoramic of the relationship, but also the significance of previously unnoticed details. I dreamed of a place where odd people could be themselves . . . [Godolphin] has the human scale of a small town and provides the rich opportunities of a big city. It welcomes immigrants. It is home to austere Yankees and skeptical Jews and believing Catholics, to straights and gays, to families and solitaries. It is tolerant and inefficient and modest. In this, her description of her dream place, Pearlman describes the world, because for all of humanity’s failures, ultimately our world does have room for each element that she names. While we may push and yell, some demanding individuality and others striving for homogeneity in which no one is the Other, we are, despite all of our efforts, endlessly different and the same. That is what literature shows us—great stories explore how our seemingly unique experiences are commonplace, while at the same time showing how people we thought we knew, could, in fact, be thinking, feeling and experiencing things that we never before imagined. Pearlman’s invention of Godolphin demonstrates that just as even the most casual of relationships marks people, they are likewise influenced, and influence, place. Characters fall in and out of love, they make mistakes, they yearn for belonging, they yearn for solitude, and they do this all somewhere, someplace—and most often, for Pearlman, that place is Godolphin. While all of her stories are character and plot driven, one of her Godolphin stories is also expressly about both place and impermanence. The story “Mates” opens as “Keith and Mitsuko Maguire drifted into town like hobos, though the rails they rode were only the trolley tracks from Boston, and they paid their fare like everyone else.” Again, with the opening line, Pearlman sets the tone, character, setting, and tension of the story. We understand that Godolphin is just outside of Boston; we know the characters’ names; and we know a bit about them because of these names. We understand that somehow the story will explore their difference, their way of seeming like hobos, unbounded by the constraints of obligation and place. The Maguires attended no church. They registered Independent. They belonged to no club. But every year they helped organize the spring block party and the fall park cleanup. Mitsuko made filigreed cookies for school bake sales and Keith served on the search committee when the principal retired. As the narrator tells it, this becoming integrated into a community is inevitable. She comments later that “[m]any townspeople knew the Maguires. How could they not, with the boys going to school and making friends and playing sports? Their household had the usual needs – shots and checkups, medications, vegetables, hardware.” Pearlman argues through her story that whatever makes up our daily routine is what defines our life; we are the sum of our daily existence, and thus, for a large part, we are where we live. 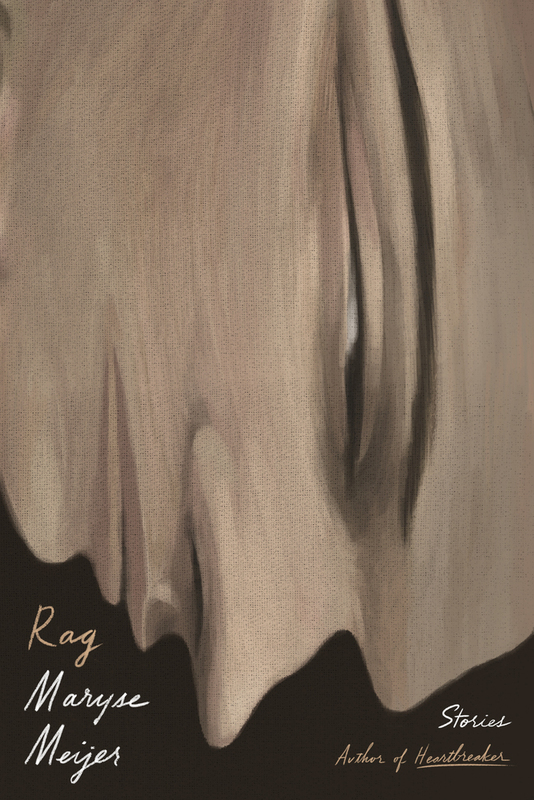 Descriptions of Godolphin are interwoven with details about the Maguires. Recalling the family’s arrival day, the narrator comments, “They were seen sharing a loaf and a couple of beers on a bench in Logowitz Park. Afterward they relaxed under a beech tree with their paperbacks.” Later they spent the night in the Godolphin Inn. Through small details like this—a place name here, a tree there—a town emerges. It does not take elaborate descriptions or flowery words to evoke a place; rather it requires an eye for the small, often domestic details of where we live. Writing place requires noticing qualities of shadow and light, as Pearlman does in “Vailles” when she writes of the nanny who seeks solitude in her Godolphin basement apartment: “meager sunlight slipped like an envelope into one after another of her high windows and then lay on the floor as if waiting to be picked up.” Through that sentence and through the story, the character of the nanny is revealed as one who seeks humble comforts, and who shapes a life in which she knows herself, rather than the self others impose on her. And we understand this, in part, because we have seen her apartment. Home is the most intimate of landscapes, and the setting that speaks most to our character—we are both from, and are the creators of, the places we call home. This reminder that we are all from somewhere makes it all the more appropriate that Binocular Vision is published by Lookout Books, the new press from the University of North Carolina—Wilmington’s Creative Writing Department, which also publishes Ecotone, a journal dedicated to “Reimagining Place.” It seems fitting that Lookout Books would assert in their publishing philosophy the goal “to publish a vibrant rather than docile literature of place.” That sums up Pearlman’s approach rather precisely. Since the book launched in January, glowing reviews have appeared in places like the New York Times and the Los Angeles Times. Both of these reviews began in the same way, with the reviewers admitting how they had never before heard of Edith Pearlman, and I admit now that I was also among their number. However, just as Ann Patchett predicted in her Introduction to Binocular Vision, this book seems to be the vehicle “with which Edith Pearlman casts off her secret-handshake status and takes up her rightful position as a national treasure.” Binocular Vision is, in many ways, Edith Pearlman’s opening line, broadcasting her character, her tone, and her ability to the larger world. She is setting a firm stake in the literary landscape that she is a writer to be reckoned with, and even more importantly, that she is a teller of stories that delight, challenge and inspire the reader. Binocular Vision is the first book from Lookout. According to their mission statement, Lookout Books “pledges to seek out emerging and historically underrepresented voices, as well as works by established writers overlooked by commercial houses. […] Lookout offers a haven for books that matter.” Visit the publisher’s website for more information on Binocular Vision and forthcoming titles. “So you’ll marry him,” you said evenly. “Somebody has to,” I explained. Visit Pearlman’s website for book tour details, more links to her stories and nonfiction work, and a brief excerpt from Binocular Vision. Read the Sycamore Review‘s February 2011 interview with Pearlman, in which she discusses her love of Dickens, her writing environment (preview: typewriter, quiet, lots of coffee), her two-person writing group, and more. Last, but not least, if you’re also new to Pearlman’s work (but intrigued), pick up a copy of Binocular Vision from your local indie bookstore. Or become Fiction Writers Review‘s fan on Facebook and maybe you’ll win one of three signed copies of the new collection!